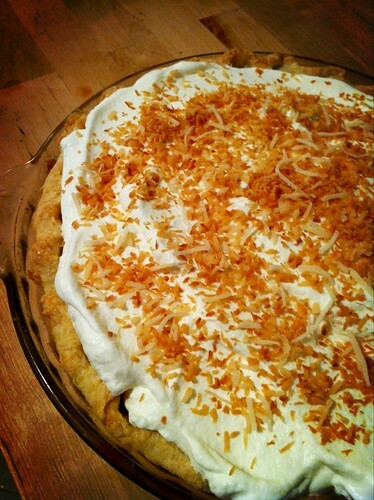 I made a delicious coconut cream pie a couple weekends ago – it was a big hit! I used a can of coconut milk in place of the whole milk in the filling. It kind of turned a bit grey when I was cooking it, but whatever. It was soooo good. 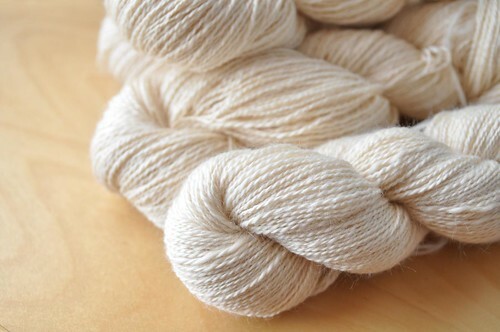 Finished plying up a pound of merino/seacell blend that I’d been working on for AGES! It’s a 2-ply and maybe about 1800 yards. I have no idea what I’m going to do with it, but it is quite soft and pretty. Maybe I’ll have it dyed. 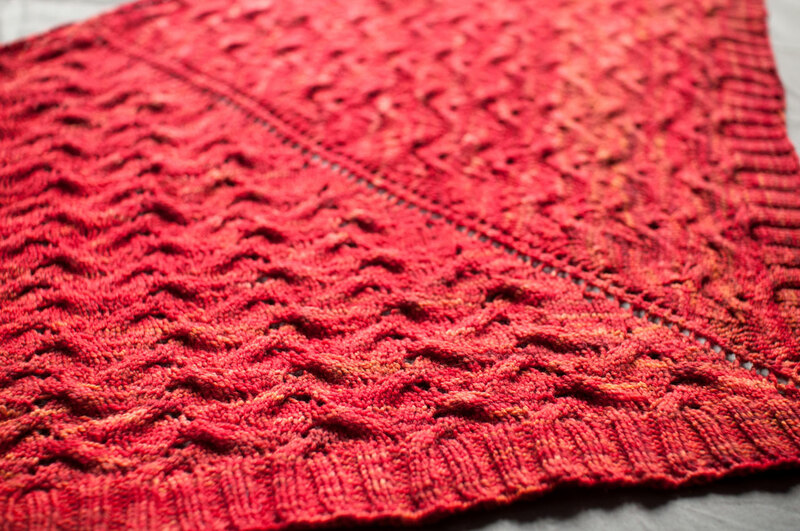 Working on a new sample of an older pattern that I completely wrote up but never released. This one is in Zen Yarn Garden superwash worsted, in Moon Purple. 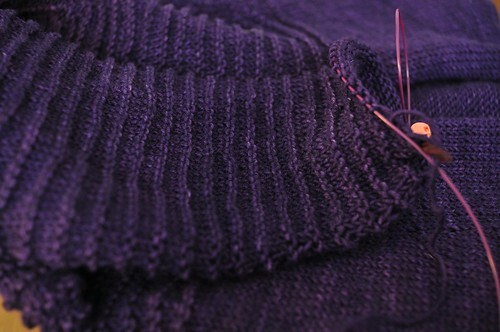 I haven’t had a purple sweater in ages so it’s going to be great! Digging out this weekend. 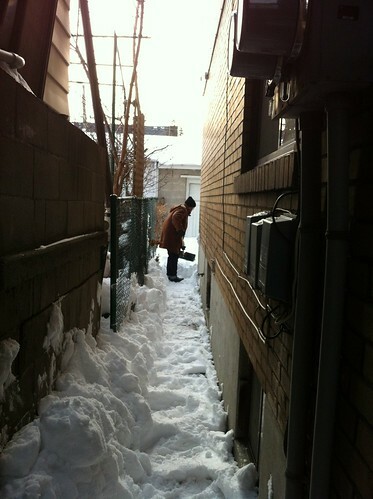 We didn’t get as much as in the US, but still the biggest snowstorm in a few winters – we got 30cm (12″). It was a good excuse to hunker down with slow cooker stew, Boardwalk Empire, and a new jigsaw puzzle. My next sweater pattern release! I can’t wait to share it with you. Those cables look so enticing! Can’t wait to see it! Very pretty! I will be checking daily until you post it! 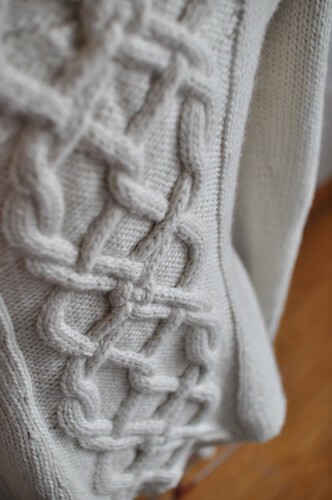 Gosh those cables are beautiful – can’t wait to see the rest of it! Just took a class on cables and chart reading last week….making fingerless mitts with a cabled cuff….so much fun! The sweater looks daunting but beautiful! Look forward to seeing the finished purple project….love that color!